Since the start of the year, there have been numerous leaks, rumors, and reports about LG’s next flagship smartphone, including last week’s news that it would be called the LG G7 ThinQ. Now, Android Headlines has obtained press renders that give us a better look at the phone and the different color options available at launch. In addition to being yet another Android handset to feature an iPhone X-style notch, the G7 ThinQ is said to release in Raspberry Rose, Moroccan Blue, Moroccan Blue (Matte), Platinum Grey, and Aurora Black colors, with availability depending on region and carrier. Like the V30s ThinQ it showed off at Mobile World Congress, LG's next device will have a focus on artificial intelligence. It’s even said to feature a dedicated AI button on the side of the phone, though this could be for its AI-powered camera feature rather than being an LG version Bixby. We’re still waiting for confirmation of this and whether it’ll be remappable. The renders show the phone with a rear dual camera setup—possibly featuring a f/1.5 aperture—that’s aligned vertically, rather than the horizontal orientation used in the G6 and V30. It’s also expected to boast a Qualcomm Snapdragon 845, 4GB of RAM, and 64GB of internal storage. A separate leak last week reportedly showed the G7 ThinkQ’s AnTuTu benchmark score beating the Galaxy S9, with only Sony's Xperia XZ2 scoring higher than LG’s device. 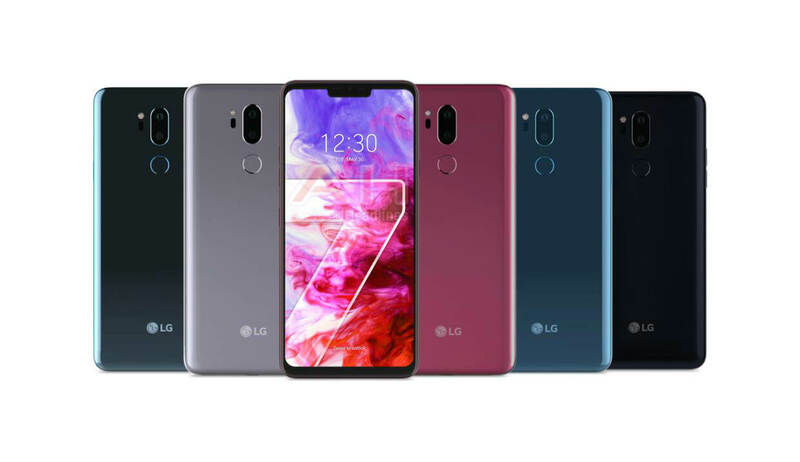 As for the release date: LG has announced that the G7 ThinQ will be unveiled at a launch event on May 2 in New York, followed by a South Korean launch in Seoul on May 3.